New Sai Fibers shall continue to contribute towards realization of clean environment and quality infrastructure for each village and each city. Providing Quality special purpose Machines, Vehicles and utility vans etc. Assuring customer satisfaction by understanding their specific needs towards clean environment. 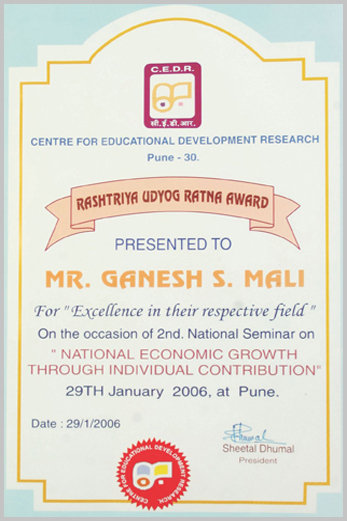 1.Udyog Ratna Award by- All Journalist and Friend Circle Award. 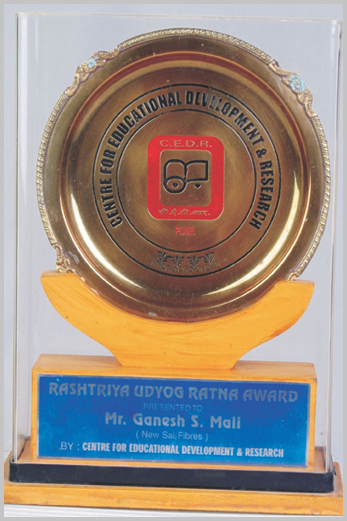 2.Rashtriya Udyog Ratna Award by- C.E.D.R.